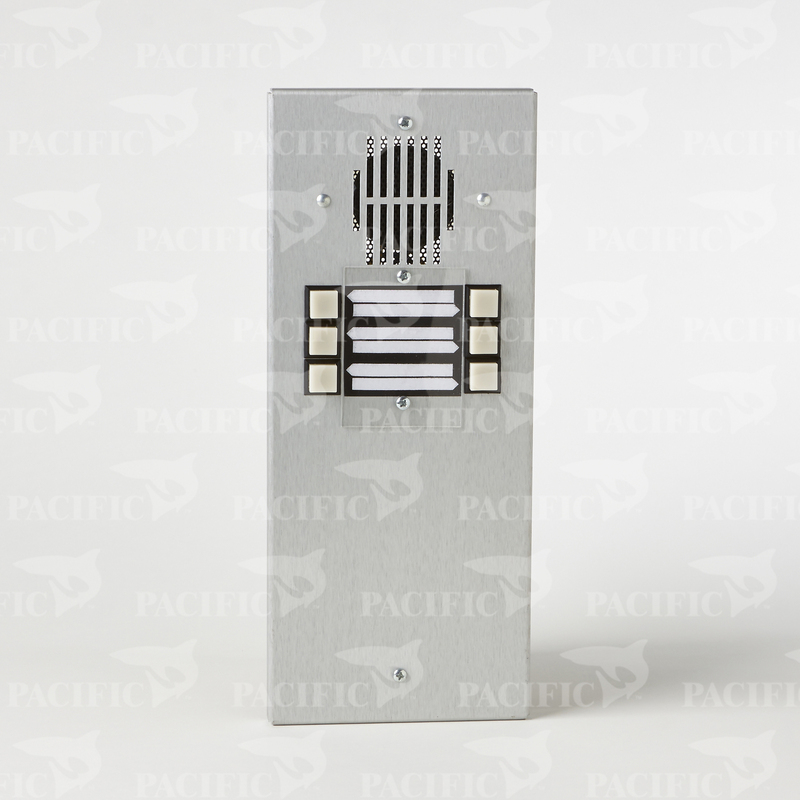 Cordless loud-speaking entry panel available with 2-20 buttons. Anodized natural aluminum. 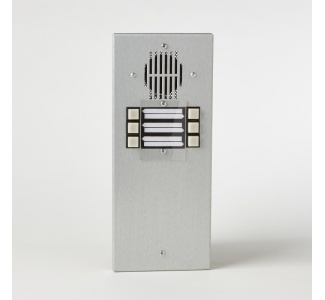 Speaker protected by perforated screen backed by protective grill behind faceplate. Speaker has wire leads. Finest grade pushbuttons individually replaced, large screw type terminals.